So, school is almost out. My son finishes today at noon. He is one of the many kids counting down the days until he leaves for overnight camp – a countdown that began in September. If you are separated or divorced, here are a few pointers on how to make it easier for your son or daughter at overnight camp. For the sake of simplicity, let’s use a hypothetical family: Jane is 11 and going to overnight camp for the first time. Jane’s parents, Mom and Dad, are divorced and don’t get along very well. 1. Remember Jane is going to have a great time. She may be a bit homesick at first, but that will pass and she will love camp. Why? 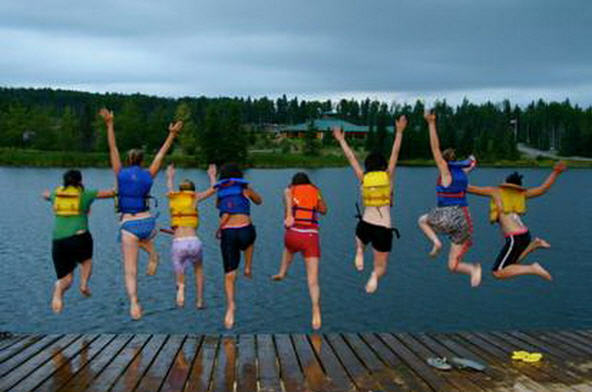 For all the reasons other kids love summer camp, but also a few more. Summer camp is a chance for Jane to be away from her parents and their issues and the fact of the divorce. At camp, she gets to be just like every other kid. It is a relief. Jane gets to leave the parenting schedule behind. No more shuttling back and forth between homes. She doesn’t have to remember what stuff is at what parent’s home. Jane has one cabin and one bed, one place to lay her head every night. Often, this time at camp comes as a welcomed break from the pressure of being a child of divorced parents. 2. Write. But don’t write Jane about the divorce, problems with the other parent, your dating life, etc… Write her about age appropriate things. Certainly do not tell Jane in a letter that you are separating. That kind of announcement requires face to face interaction and emotional support. 3. Make sure Jane has stamps, writing paper and envelopes to write you back. Give Jane both Mom and Dad’s address. Don’t just give her one or the other – that is just making trouble. More importantly, it sends the message that Mom doesn’t want Jane to write Dad (or vice versa) and that isn’t right. 4. Give the camp the contact information for both Mom and Dad. Don’t cut the other parent out – the camp needs this information for emergencies! If you can’t be reached, you want the camp to reach the other parent. 5. Make a plan for Visitor’s Day with your ex. Don’t leave it up to Jane. Never ask her “who do you want to come see you on Visitor’s Day?” It isn’t fair. It puts Jane in the middle of an adult issue. Mom and Dad should decide who gets to come on Visitor’s Day and who arranges another day to come visit. You can alternate from year to year. Sometimes parents want to come to Visitor’s Day together. Don’t do that unless you regularly do other things together with Jane. If this is the only time Mom and Dad have been in the same place at the same time for a while, don’t do it. It will be strange and uncomfortable for Jane and that is not how anyone wants her to feel on Visitor’s Day (or ever). 6. Similar to Visitor’s Day, make a plan for drop off and pick up, either at the buses as some camps do, or at camp as others require. Maybe Mom can drop off and Dad can pick up at the end of the month? Again, Mom and Dad should only be there together if they can behave and if it will not be uncomfortable for Jane. These tips aren’t rocket science. They are just common sense. But they will help Jane get the most from her summer overnight camp experience, which is the whole point.